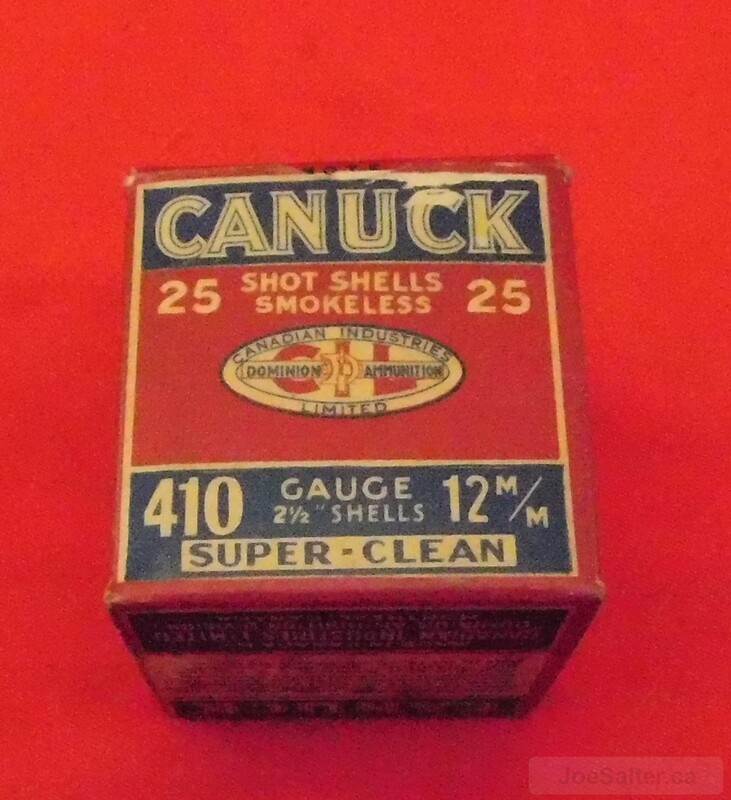 A very scarce collector grade box of CIL Canuck 410 cartridges. 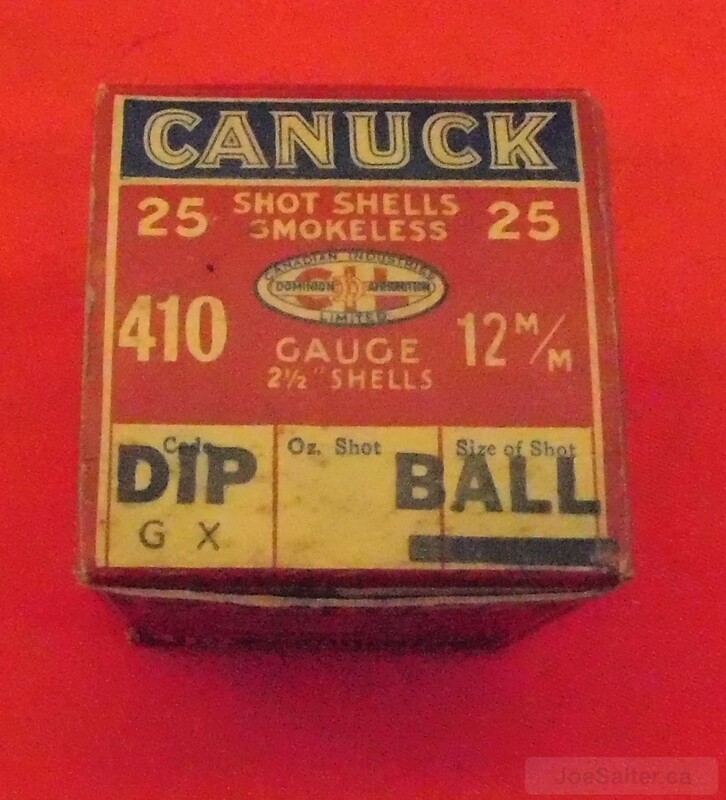 The box is full of 25 original ball rounds. 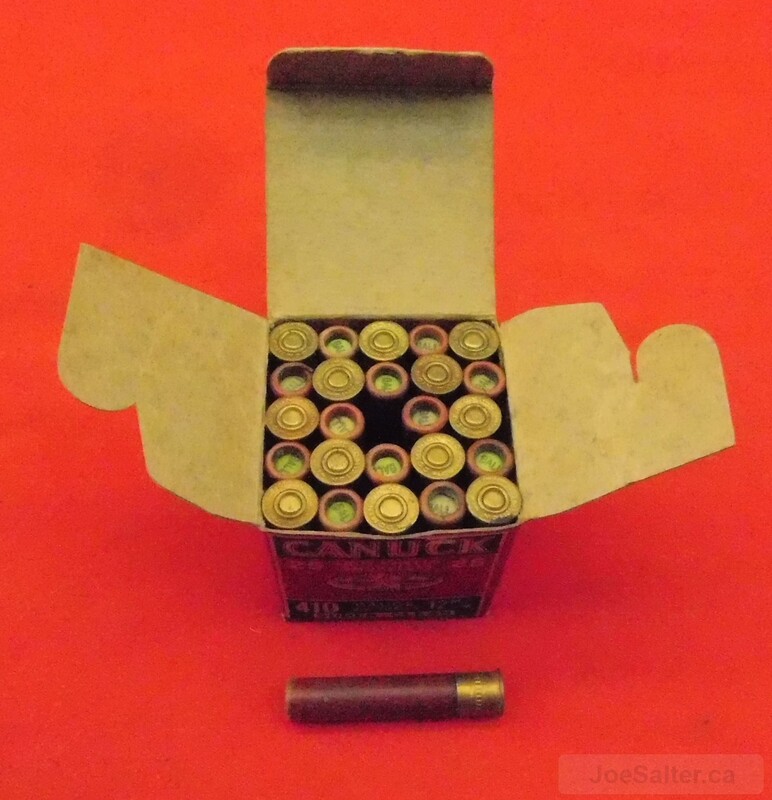 The box code is 1B-14 1.54 F12 M. The box is complete and in sound condition with the exception of a partial tear in one of the internal flaps. All of the cartridges are original to the box and remain in excellent condtiin. The box is complete and sound with slight age discoloration of the buff portions. 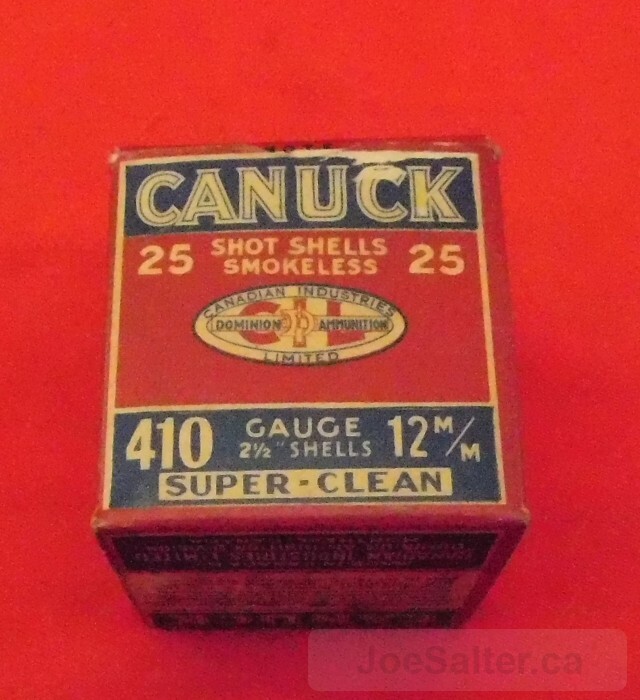 We have not found a similar box for comparison. A piece for the serious 410 collector.